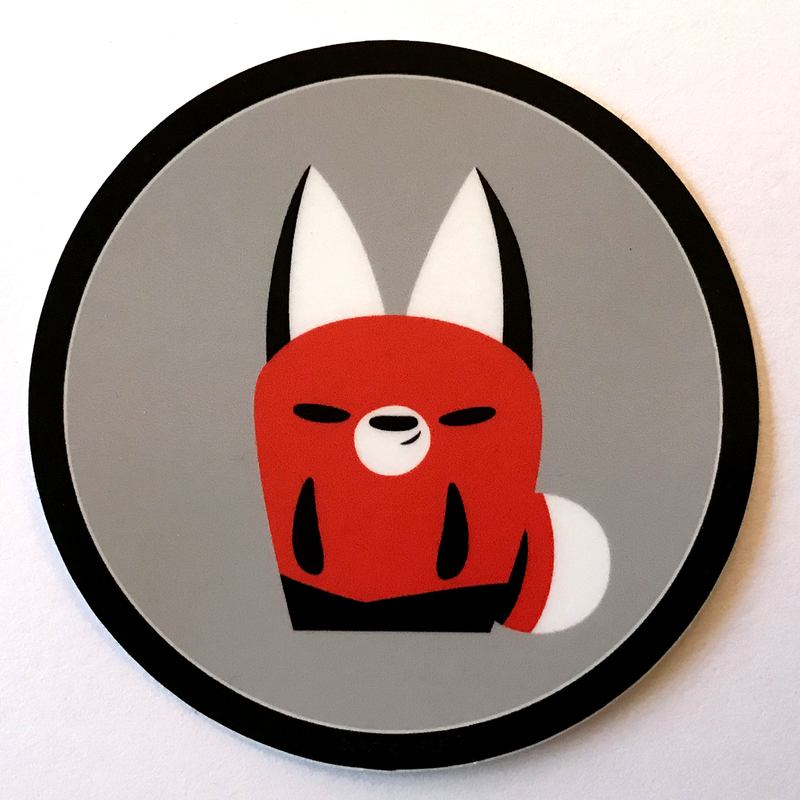 Weird rabbit friend ask panda if he could have sticker. 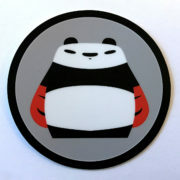 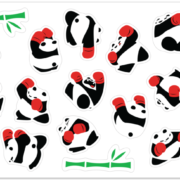 Panda say OK. Weird rabbit vinyl sticker is 3″ round and matches well with panda sticker. Hoomans might say stickers are same, but panda sticker is more better.